Would you like to track your package through the Baseed States Post Office ) after it has been shipped (for forty-five [.45] cents extra)? Your Application Form is now complete. 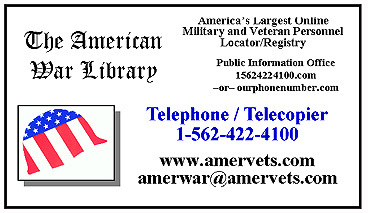 Print, Sign and Mail this completed form to the address below along with the required military-issued Report of Separation or other (pre-approved) document(s). You may (OPTIONAL) email this form for faster processing. However, you must still mail or email a copy of your military document(s).